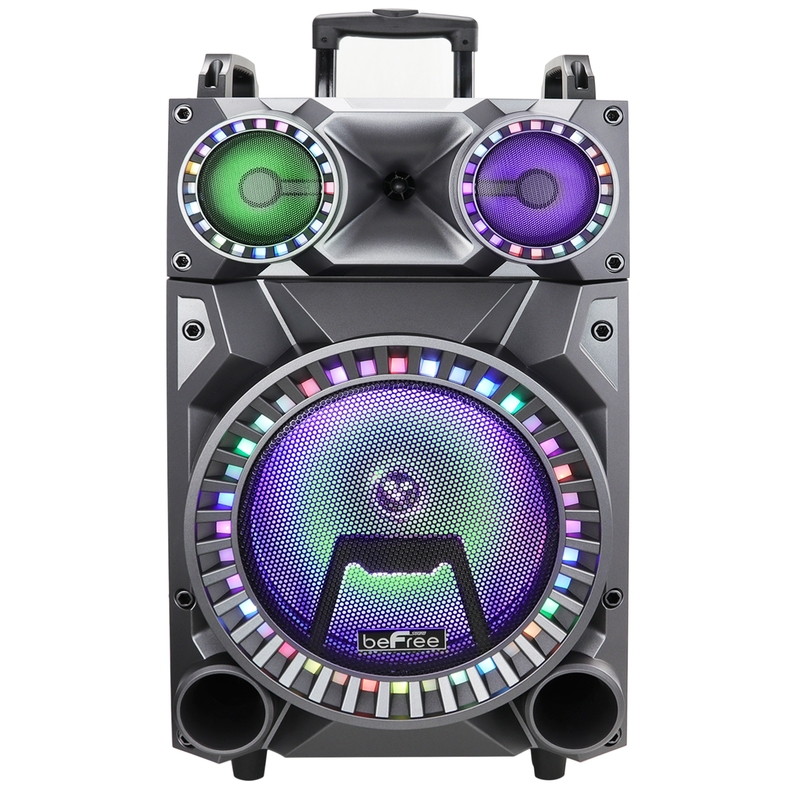 The beFree Sound Rechargeable 12 Inch Bluetooth Portable Party Speaker with Party Lights, FM Radio and USB/TF Inputs­ is the best choice for an all in one entertainment experience! 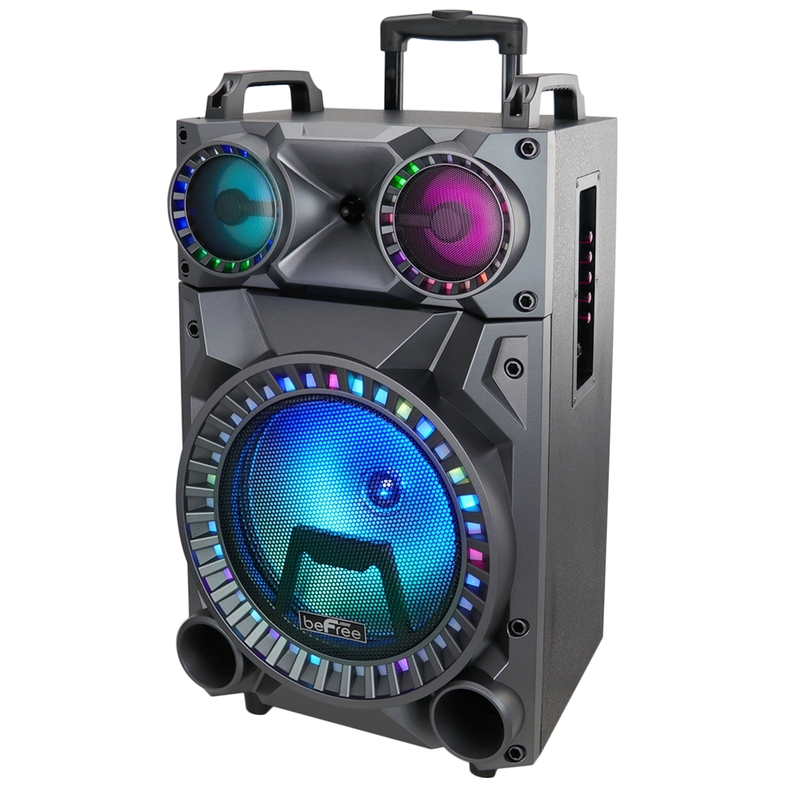 This portable speaker conveniently features hard mounted top handles for your convenience, as an extendable handle and caster wheels for easy portability, making carrying this speaker a breeze. 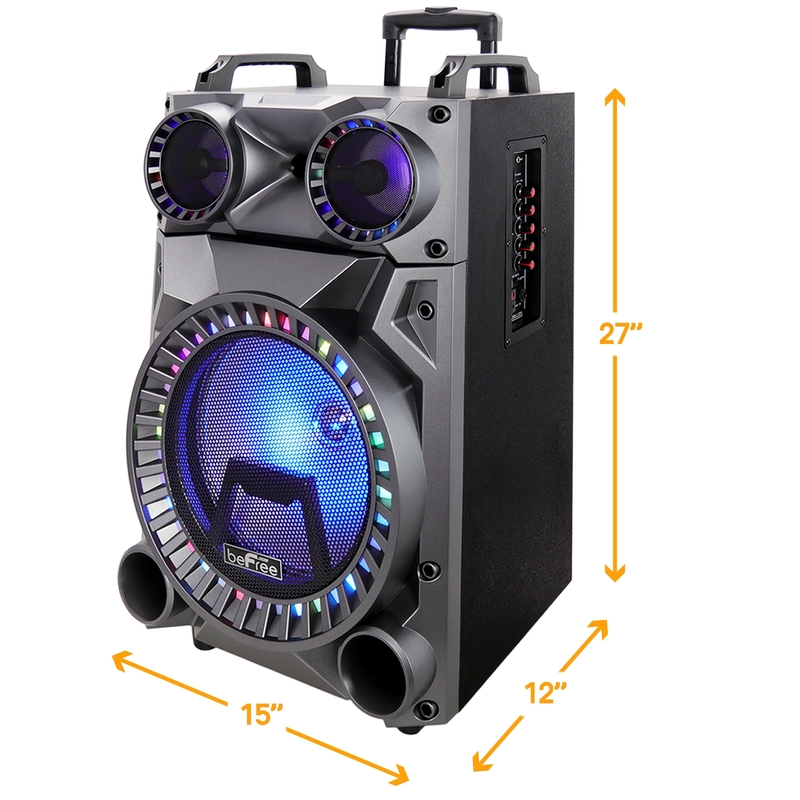 This unit is the ideal companion for your hardest workouts and wildest parties ! With a hard hitting base line, it delivers thunderous crystal clear sound. 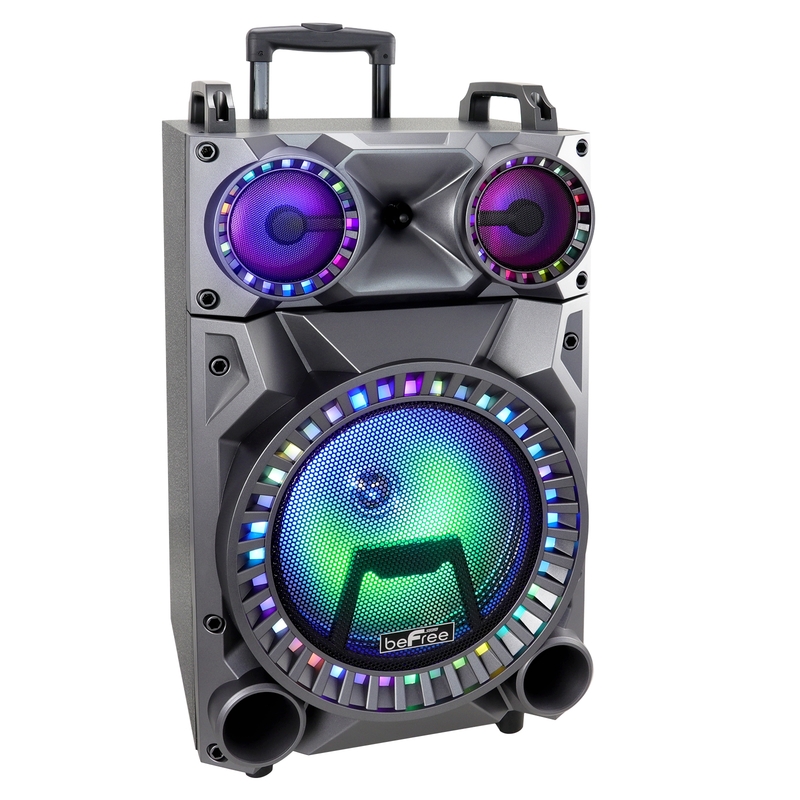 With the built-in sound reactive lights, this sound system is sure to pump up the party! While your guests may already enjoy your music selections, this speaker will help you take your entertaining to higher level. Easily connect a variety of devices, and choose the input that is best suited to your needs. You always have the option of turning down the reactive light show whenever needed, while still enjoying the strong, clear sound provided by woofer and tweeters. 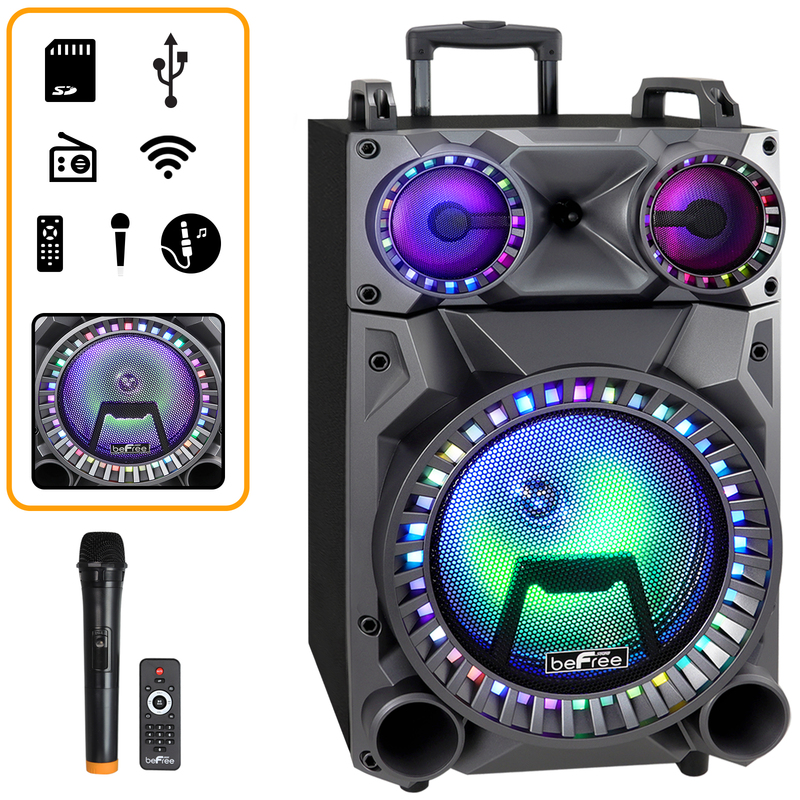 This unit acts incredibly well as a portable PA system, with the included wireless microphone included, you’ll really be able to make your voice heard! EASILY CONNECTABLE: beFree has your convenience in mind! Bluetooth may be your favorite connection, and we understand, but there are times when other options are needed. 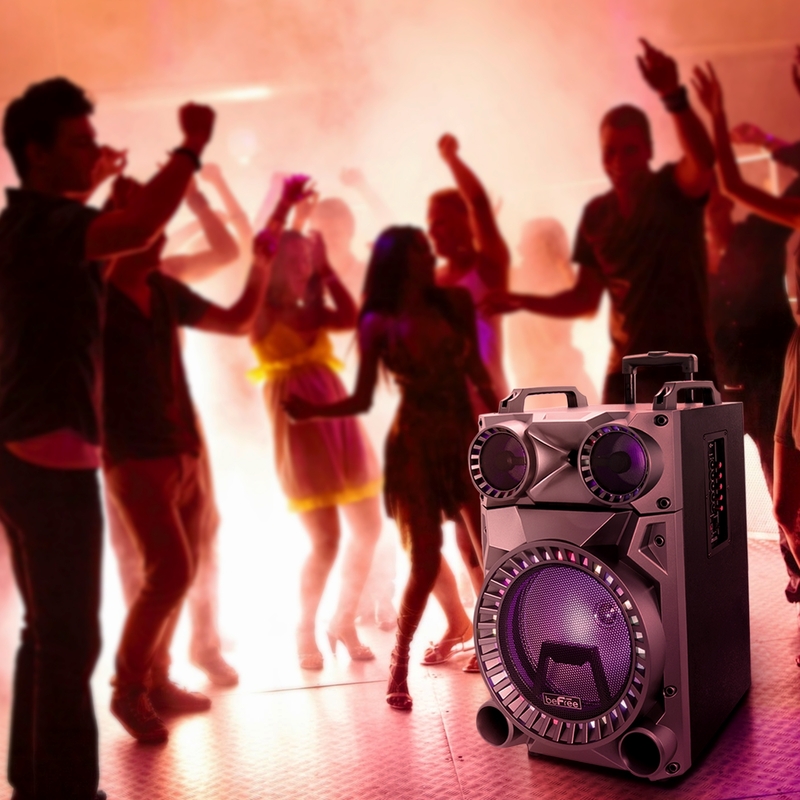 beFree Sound has jam-packed this ultimate party speaker with connections to ensure you have every option you need. Offering USB, TF and AUX Inputs. Not only does it conveniently include a wireless microphone, this system also features a microphone input for the ability to use a second microphone, and use them both simultaneously if needed. 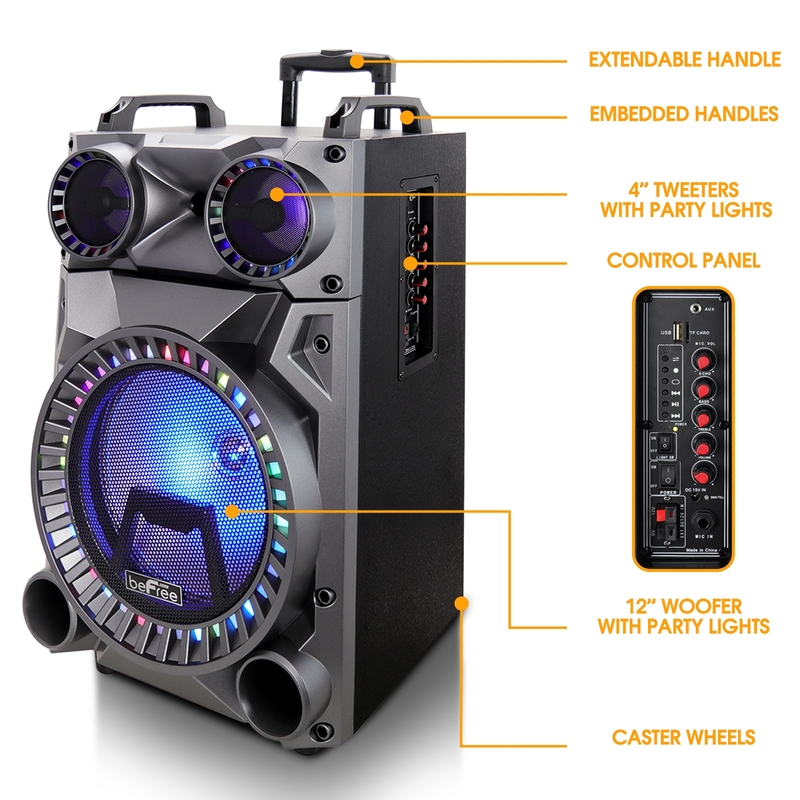 COLORFUL PARTY LIGHTS: The party never stops while this speakers light show is wowing your guests! Vibrant interchanging colors will amaze and entertain your guests. STRONG CRYSTAL-CLEAR SOUND: This speaker has been designed to provide powerful and thrilling sound to meet all your needs and wow the audience! Adjustable treble, bass, echo and volume levels allow you to set the music just right.